Malke's upcoming book reminds us that the body is a thinking tool and that math is about more than memorization. In the book Malke illustrates the amazing learning that happens when the body and math come together in both dance and non-dance settings. This book is for any K-6 classroom, specials teacher, or home educator interested in understanding how and why to bring dance or movement into their math teaching. The book describes, analyzes and illustrates the learning that happens at the intersection of math and dance in Math in Your Feet and usefully generalizes these methods to help bring the moving body into any math classroom in a meaningful way. The book will be published by Heinemann in October 2016 and will include a comprehensive online video companion. 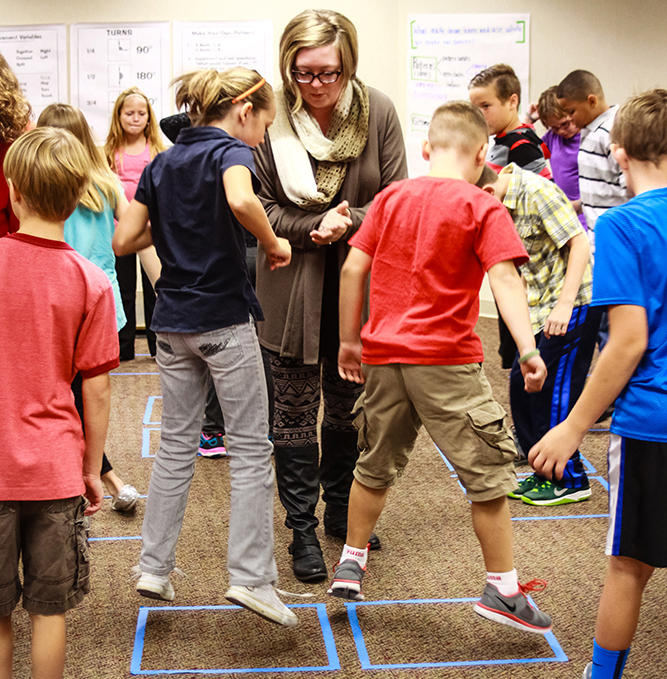 ​Join a community of educators growing their teaching practice with whole body math learning. Have questions? Get in touch!